The Flyers rookie game vs Islanders at Wells Fargo will be on their website 9/13 for those interested. Perhaps the 10/1 game in Philadelphia is added on the internet later. 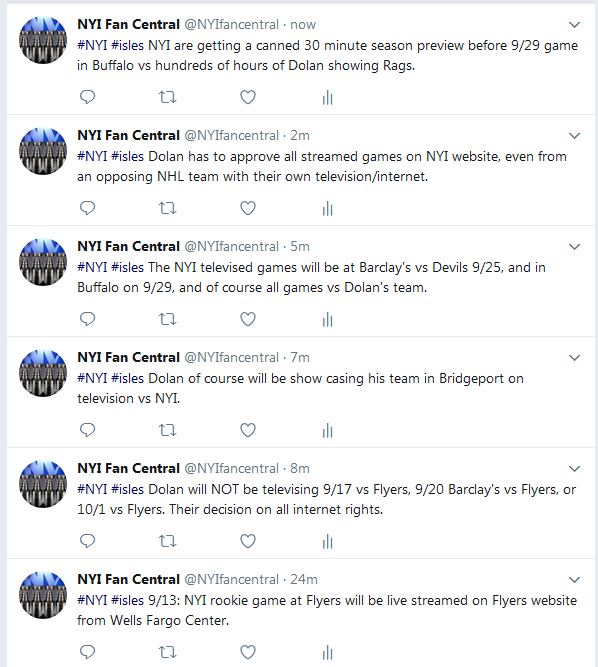 The 9/20 game at Barclay's vs Flyers last season was their stream done from a loading dock that was not watchable or choppy the entire game.